At my mother’s request, arrangements were made for Urban Sea’s 2005 mating season, and following a successful covering, a foal was born. 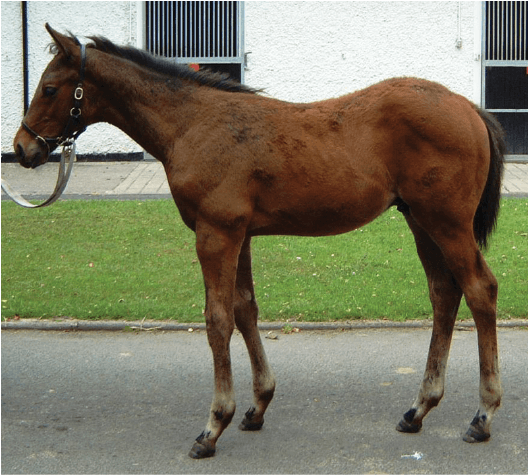 A magnificent bay colt, Sea The Stars new born. It was a magnificent colt and not a filly like Ouija Board, but no matter, I had my beautiful horse, and now, he needed a suitable name. I wanted it to include ‘Sea’ to reflect his mother’s legacy, and one night, my mother called out to me from the balcony, “See the stars, my son.” That was it! We registered the name with Weatherbys the very next day – Sea The Stars. 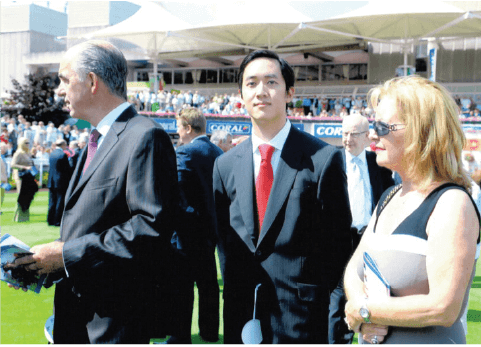 Christopher Tsui with Mr. John Clarke and Mrs. Clarke. It was decided that Sea The Stars would go to Ireland’s Currabeg Stables. Based on The Curragh in Co. Kildare, Currabeg is operated under the watchful eye of legendary trainer, John Oxx. 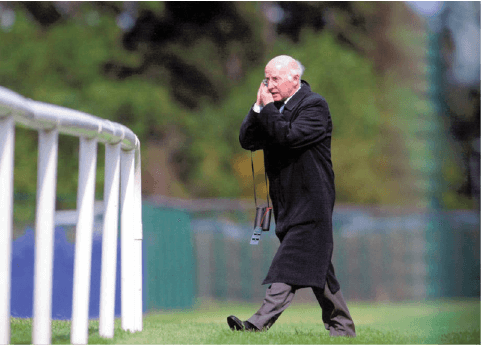 Our family was very happy to continue our association with John Clarke of the Irish National Stud, and I was delighted that the mastermind behind Urban Sea’s racing career, Jean Lesbordes, would be on hand to give support at races whenever possible. I’ve already detailed the start of Sea The Stars’ incredible three-year old season, which included that unbelievably emotional Two Thousand Guineas win in 2009. Nashwan, great champion of double win two decades before. Our next goal was the Epsom Derby, probably the most famous flat race in the world. I will be the first to admit that this was an ambitious target! 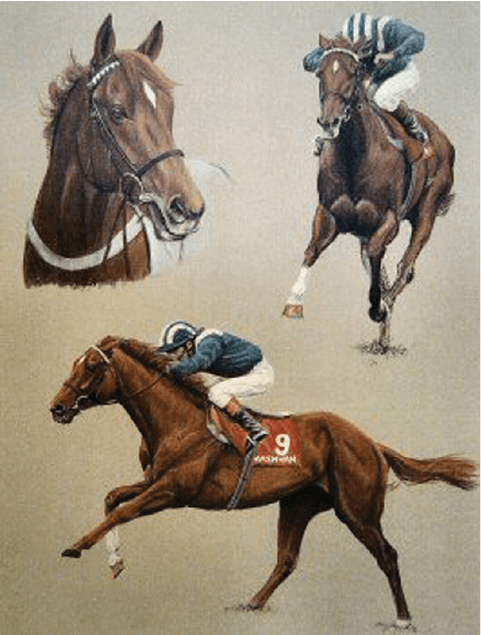 It is rare for a horse to win races over two different lengths, and although Sea The Stars had proven he could win over the 1,600 metres of the Two Thousand Guineas, the Derby’s 2,400 metre course was a completely different prospect. Added to this was the short amount of time between the two races. Typically, racehorses require at least two months between big events, but the Derby was scheduled for 6 June 2009, only one month after the Two Thousand Guineas. To put our chances of a Derby victory into perspective, no horse had managed to pull off a double win like this since the great Nashwan two decades before. Our next goal, Epsom Derby Stakes. 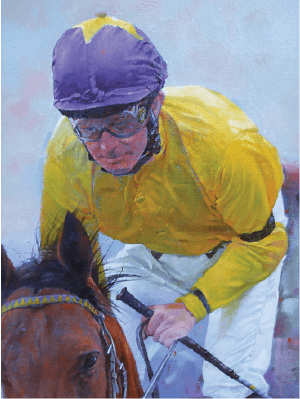 We had a secret weapon – champion jockey Mick Kinane. With two previous Derby wins, Kinane knew what it took to be victorious. Michael Kinane in Christopher Tsui’s colors. 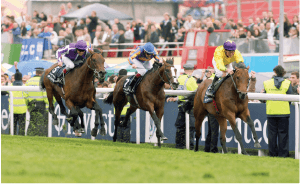 Sea The Stars racing to the victory at Epsom Derby. With preparations underway, John Oxx discussed our opposition – the ‘Ballydoyle battalions’ – with my mother, a remarkable woman. Her name, Ling, means “spirit” in Mandarin, and her powerful drive and determination see her travelling the globe on business. She was aware of the media’s doubts regarding Sea The Stars’ unproven stamina, but she wasn’t worried. 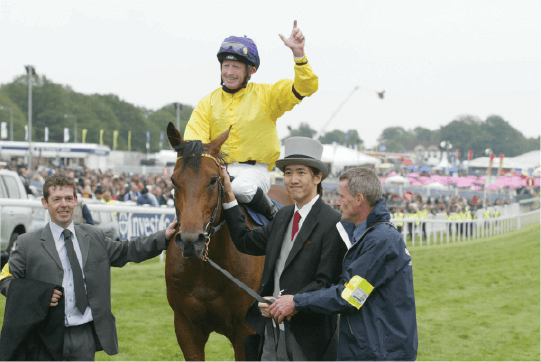 We had a secret weapon – champion jockey Mick Kinane. With two previous Derby wins, Kinane knew what it took to be victorious. We had done it! Sea The Stars won the greatest flat race on earth. On the day of the Epsom Derby, Kinane had a mount in a previous race, and found the ground riding fast, something that would definitely suit Sea The Stars; I could feel my heart beginning to beat faster! Though my nerves were probably evident as the runners gathered in the paddock, Sea The Stars was the picture of calm. I certainly wasn’t alone in hoping for a victory. The Derby was unlike anything I’ve experienced, and the sheer drama of it left my senses reeling! Mick Kinane’s masterful riding skills were sublime, and as he challenged for the lead in the final furlong, my adrenalin was pumping. “Come on!” I bellowed, as Sea The Stars flew through the front-runners, putting any doubts about his stamina to rest. And then, in a spectacular moment I’ll never forget, it was all over. My beautiful, Ling horse passed the hallowed winning post, and the noise was deafening. We had done it! Sea The Stars had won the greatest flat race on earth.